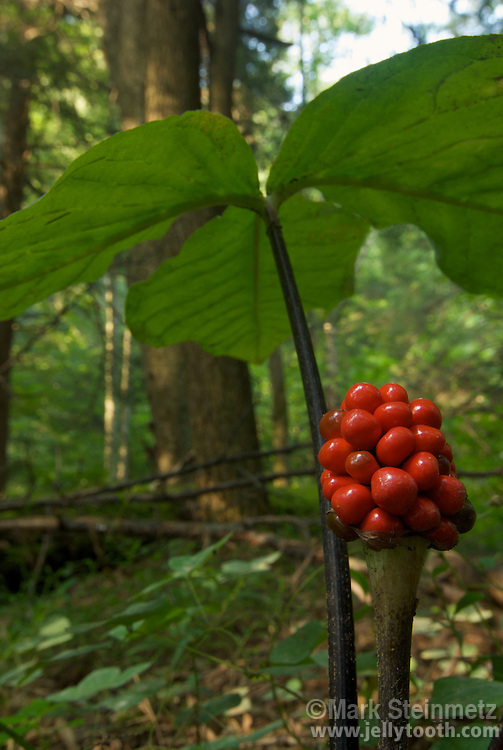 Jack-in-the-pulpit (Arisaema triphyllum) berry cluster, and underneath of trifoliate compound leaf. The berries form over the summer and are initially green, then ripen to red by fall. Native to eastern North America. Also known as Indian Turnip, as the root is edible when cooked and was a food item of Native Americans. West Virginia, USA.